At FairLifts, we reserve crop dusting, pest control, frost treatment, and weed and brush control services for the Ag industry in efforts to produce high-quality crops. With skillful pilots and advanced aircraft, agricultural spraying delivers superior penetration and coverage in those areas that are almost impossible to reach via on-ground spraying. Helicopters make this possible by massively pushing the air down so that the materials are distributed evenly on the ground. 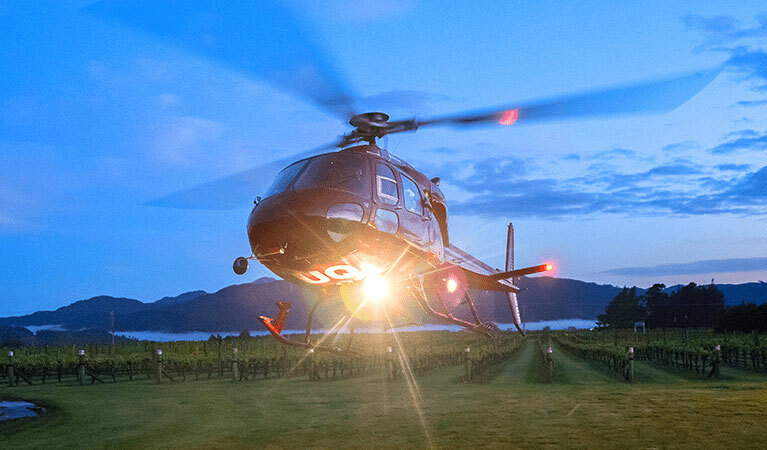 Helicopters are equipped with GPS systems that enable pilots and crew to prepare the area so that the quantity of chemicals for crop spraying can be equally determined. It’s no surprise that the state of Wyoming runs on agriculture. With over 11,000 farms, over 30 million acres are allotted to farming only. The top crops of Wyoming’s agriculture include barley, wheat, dry beans, and sugar beets – all of which are also considered superfoods in terms of providing nutrients to a human body. However, only the best-treated crops are going to provide the desired nutrition to the people of Wyoming. It’s for this reason that emphasis should be on treating crops with specialized agricultural techniques. One such technique is helicopter aerial application. Aerial application in Wyoming ensures that helicopters fertilize your crops in a way that the crop spraying goes beyond the crop canopy thereby reaching the plants’ roots as well as the leaves’ undersides. Although airplanes can also do crop spraying, their quality of service can never be like those of helicopters because airplanes are mostly close to power lines and wind generators due to which they are unable to push the crop chemicals to the ground properly. But helicopters go beyond this. They can cover even the smallest areas of crop lands that airplanes cannot reach. In this way, aerial application provides deeper penetration in terms of spraying fungicides, watering the crops, fertilizing on dry and wet grounds, and hydroseeding. Mosquito outbreaks may seem like a controllable pest issue, but even the smaller insects are destructive enough to wreak havoc within your crop lines. In a state like Wyoming where a large number of farms dominate the agriculture industry, implementing the right pest control strategy becomes even more crucial. At FairLifts, we partner with experienced helicopter operators who handle mosquito and pest control by spraying the crops with environmentally safe larvicides, adulticides, and pesticides. We also recommend scheduling recurring flights so you can be sure that the pests do not come back. Do you have noxious weeds hindering the growth of your crops? If yes, there is a high chance that they will limit your plants’ potential growth in the long run. Stop these dangerous weeds from damaging your crops right from the beginning. Aerial application in Wyoming is the answer. Helicopters do not only offer weed control, but also remove harmful vegetation such as broom, thistles, and gorse that may limit the pre-growth of several crops. Excess frost may ruin acres of crops without any warning as all the damage is mostly caused overnight. Therefore, it’s a wise decision to act proactively before the frost hits your crops. FairLifts schedules aerial application in Wyoming to help you combat this hazard peacefully. While you may think frost prevention is typically applied via using heaters, sometimes you need to go beyond such measures to ensure crop safety on a larger scale. This is when you need the assistance of our exclusive helicopters that hover along the rows of crops to provide them warm air. At FairLifts, we understand that your ultimate goal is to achieve higher annual yields leading to increased revenue. This can only be possible with healthy crops. Let helicopters do the work for you. Tell us your specific crop treatment requirements and we will provide you with the best solutions regarding aerial application in Wyoming. Feel free to contact us at your convenience.